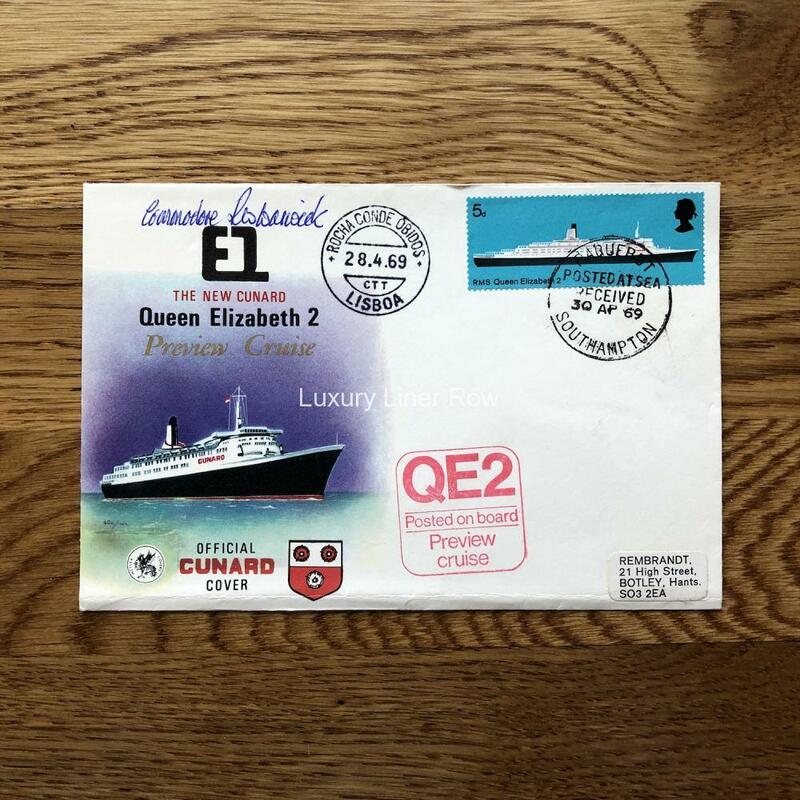 Postal cachet posted on board during her preview cruise in April, 1969. Mailed from Lisbon on April 28, 1969. 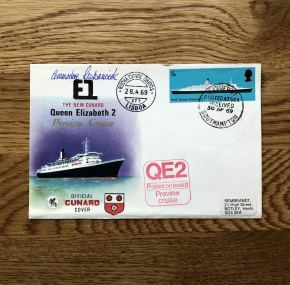 Signed by Commodore Ron Warwick.